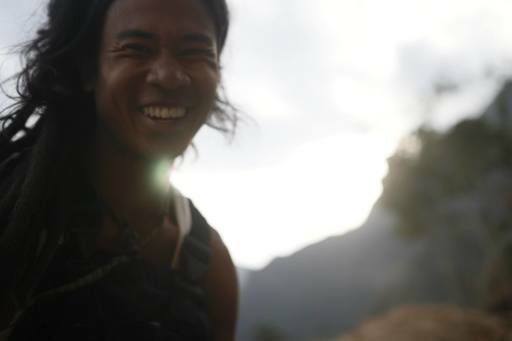 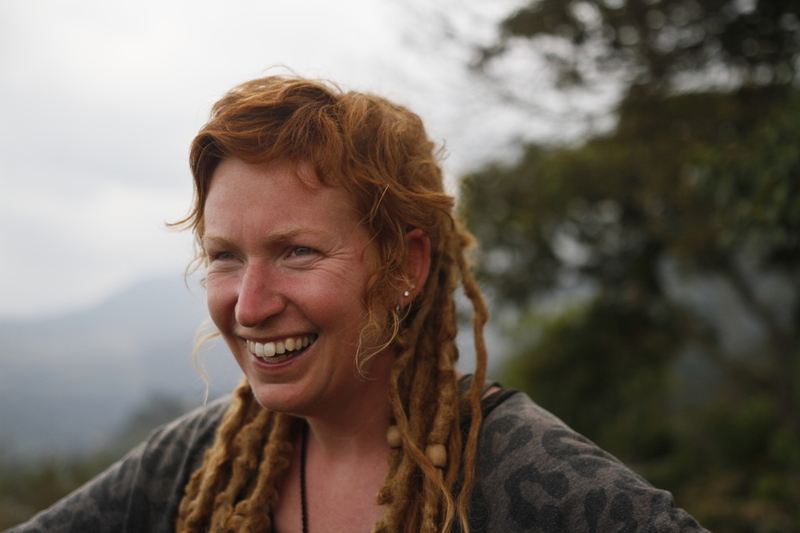 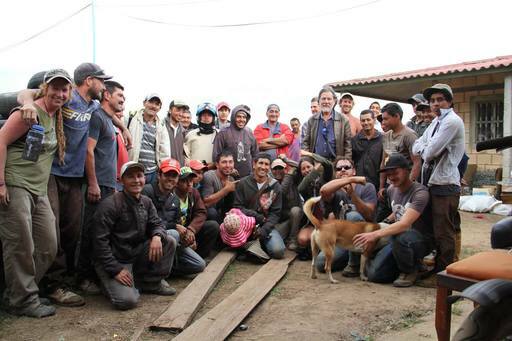 Returning to the community that built the Las Hormiguitas Native Plant Nursery, it was great to finally come home. 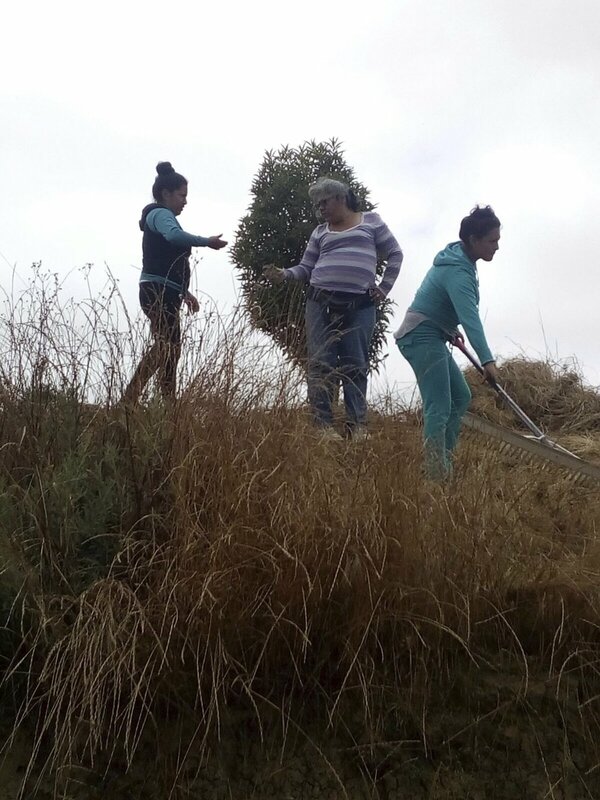 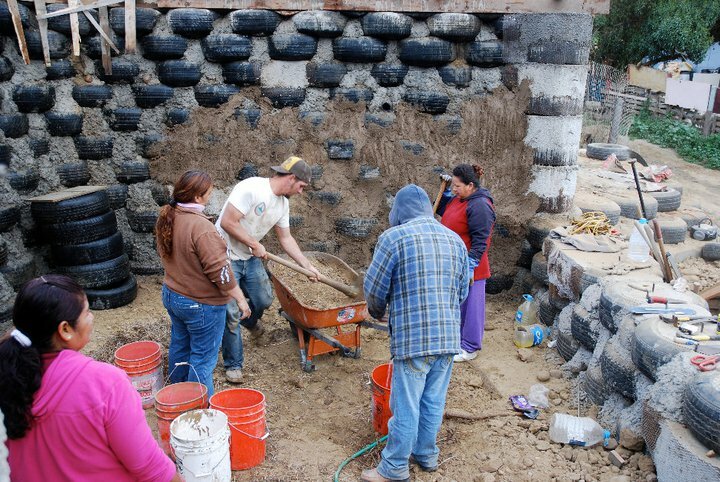 This project, sponsored by Hunter Industries in Tijuana, created 12 jobs for hard working mothers in the community. 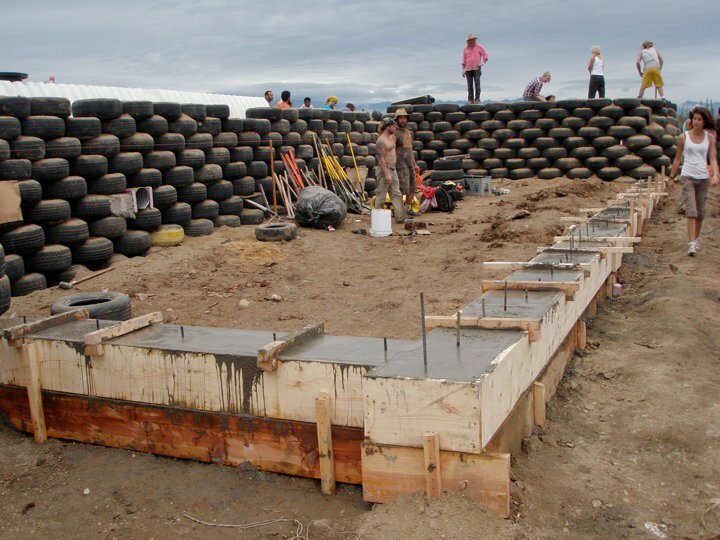 They repurposed 400 scrap tires, 67 cubic yards of sediment, 980 plastic bottles and 245 pounds of plastics and foam to create Phase I of the community-designed park. 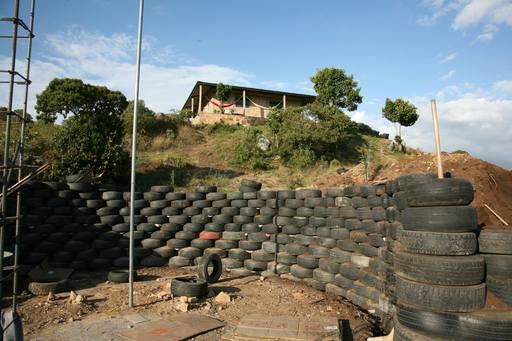 It resulted in 3 large murals, a bottle-brick wall and fencing (so balls don’t roll down the hill), a multi-use sports pitch with goals and baskets, 150 native plants for landscaping and a massive retaining wall. 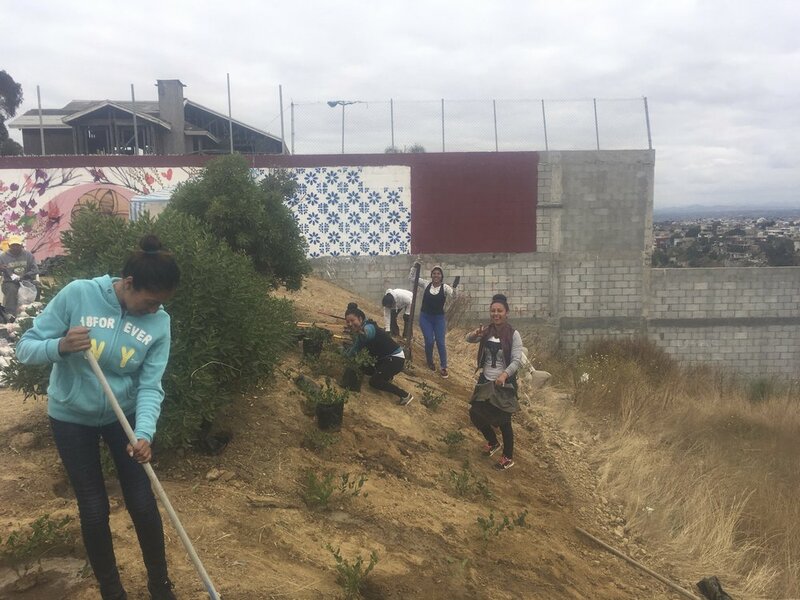 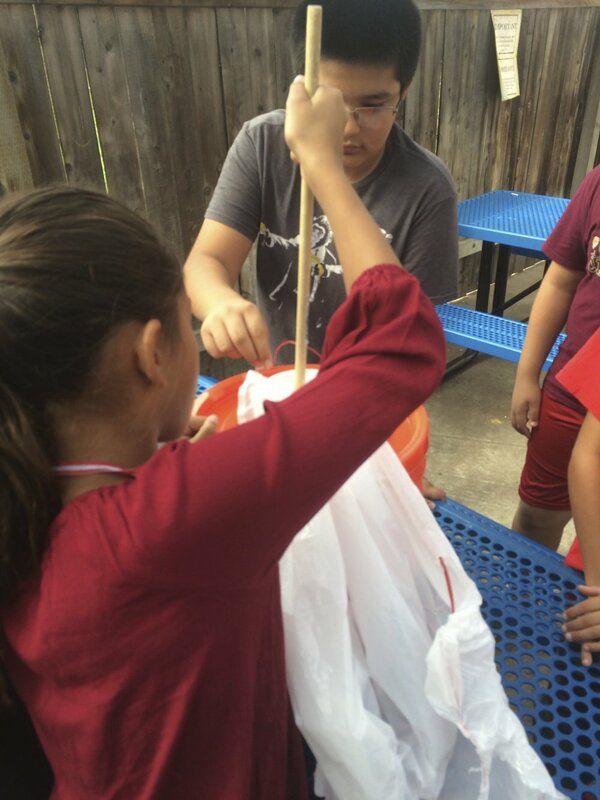 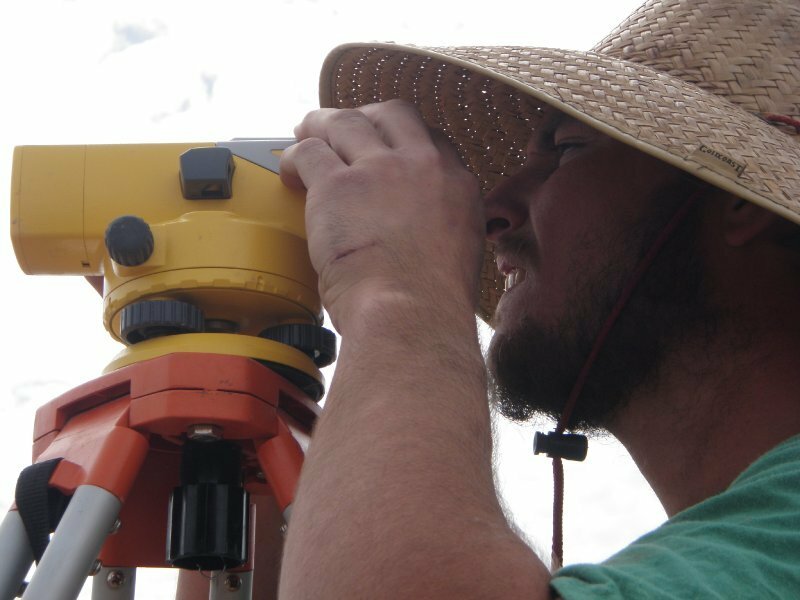 The project helped us to gather data that proves it is more cost-effective for California to take action upstream, in Tijuana, to clean up the Tijuana River, in Imperial Beach and San Diego. 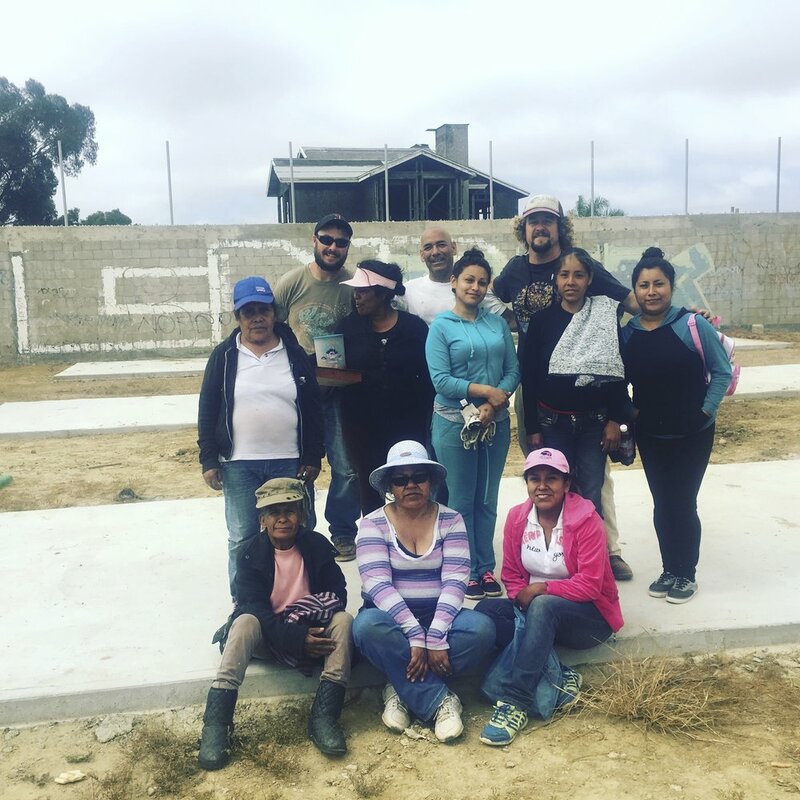 This city-owned lot in southeast Imperial Beach was the perfect opportunity to create more park space and access to nature in a park-poor community. 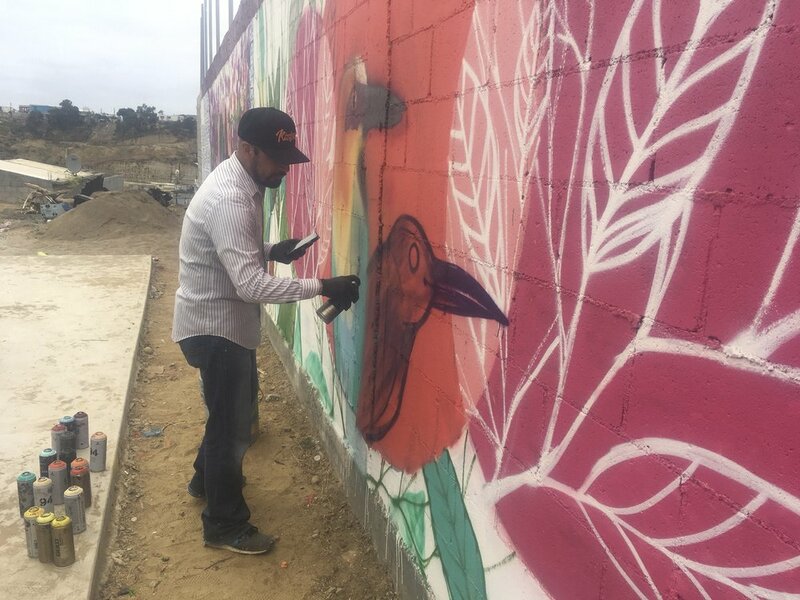 The project was sponsored by The San Diego Foundation’s Opening the Outdoors Initiative, Kaiser and The Parker Foundation and resulted in 6 large steel sculptures, a large aluma-lite mural and 350 native plants being planted. 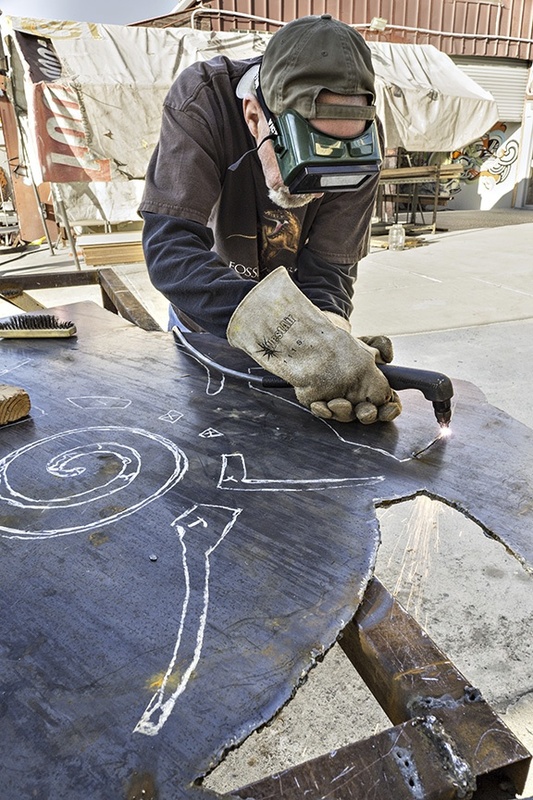 Informational signage was developed with the help of Kumeyaay/Kumiai Nation and art was done in partnership with the Imperial Beach Arts Bureau. 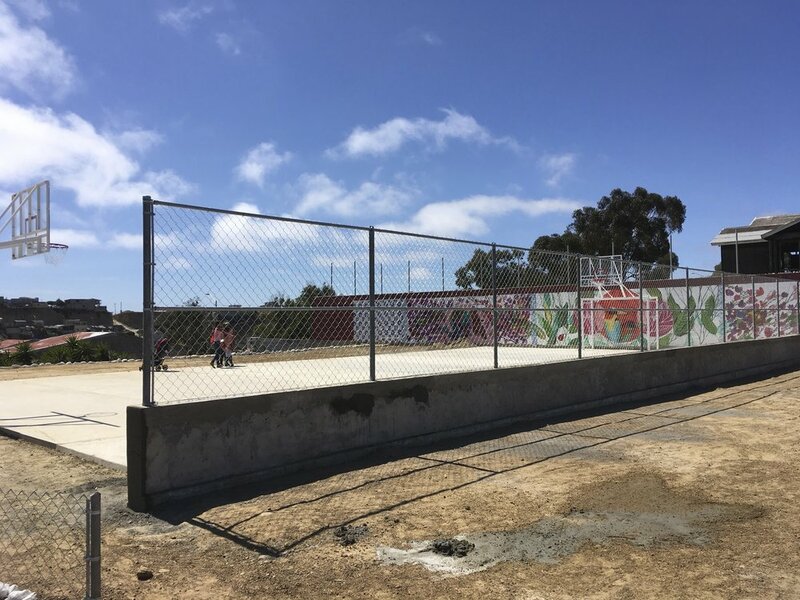 After the city of Imperial Beach removed a rusty chain-link fence surrounding a trash-filled, privately owned, beachfront lot, SDG&E, the IB Chamber of Commerce and local residents sponsored phase I of a renovation of the area. 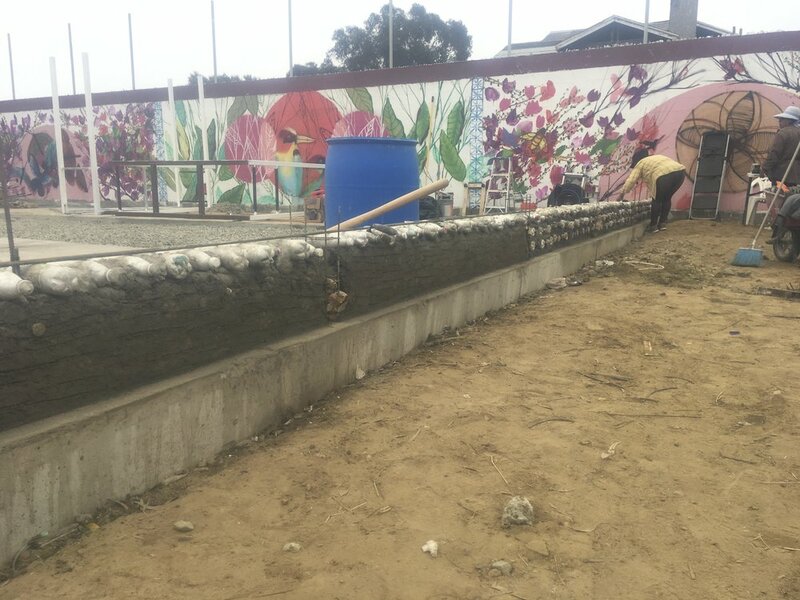 It resulted in three large mosaic sculptures, DG pathways, banner mural, common space and workout equipment and bore our new relationship with the Imperial Beach Arts Bureau. 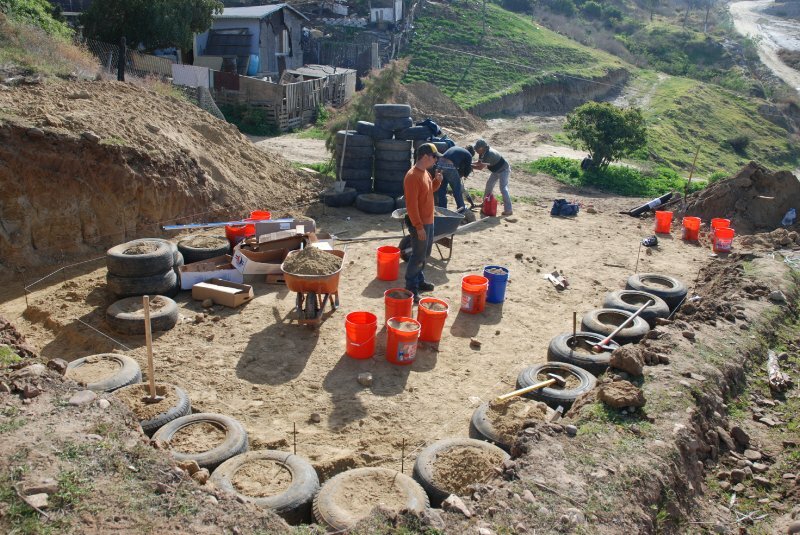 Border Field State Park, San Diego, CA. 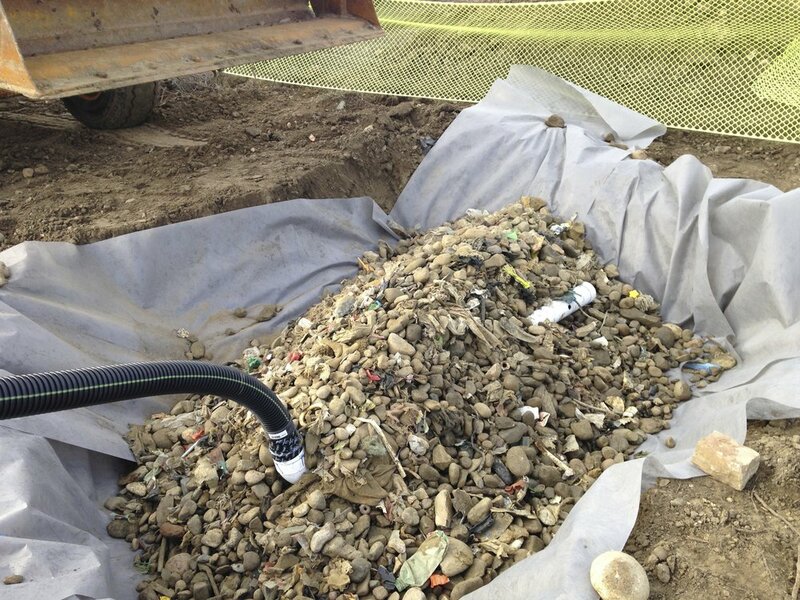 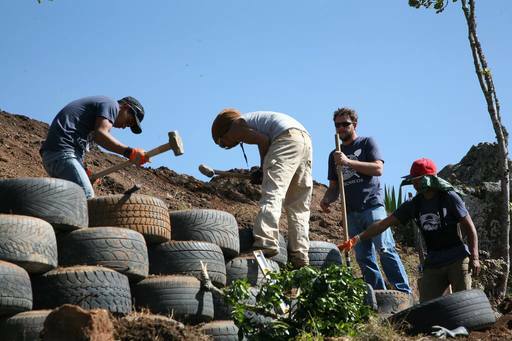 With support from SDG&E and The San Diego Foundation, we converted an additional 250 scrap tires and 42 cubic yards of sediment, pulled from the sediment basins inside of Border Field State Park, to continue redeveloping it’s entrance. 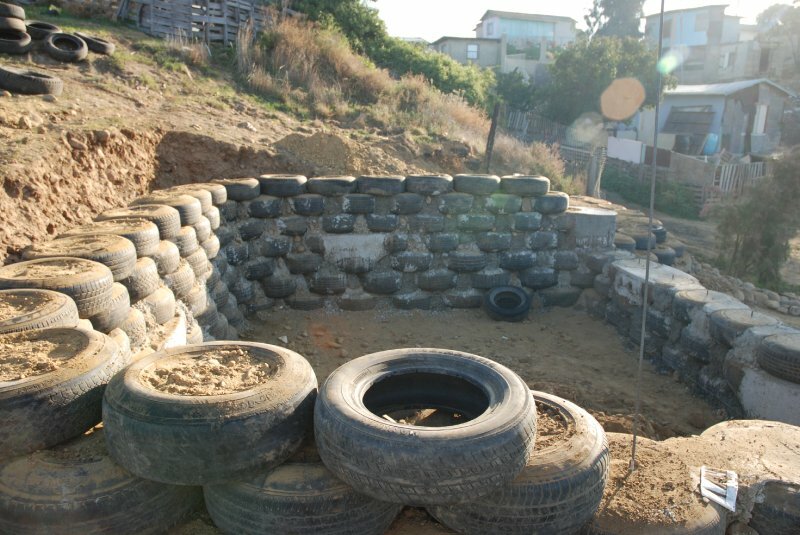 We created additional signage and seating walls using recycled materials from within the Tijuana River Watershed. 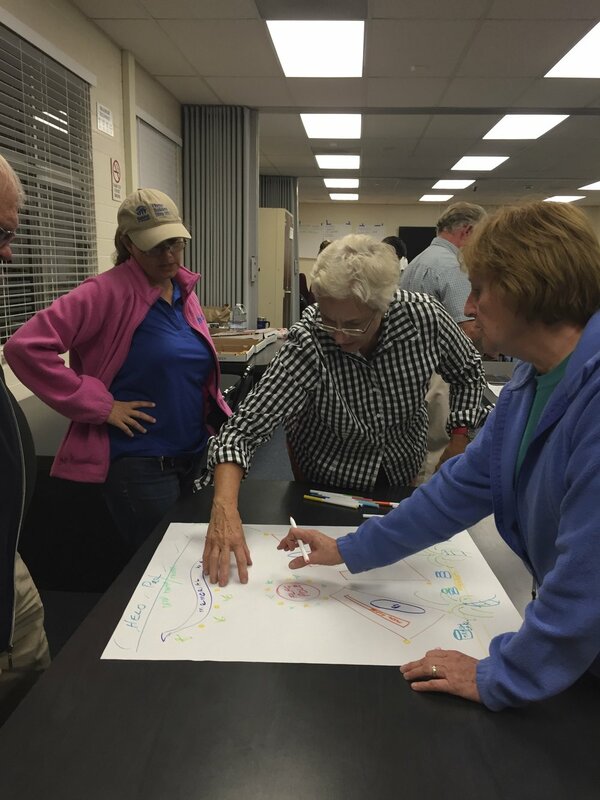 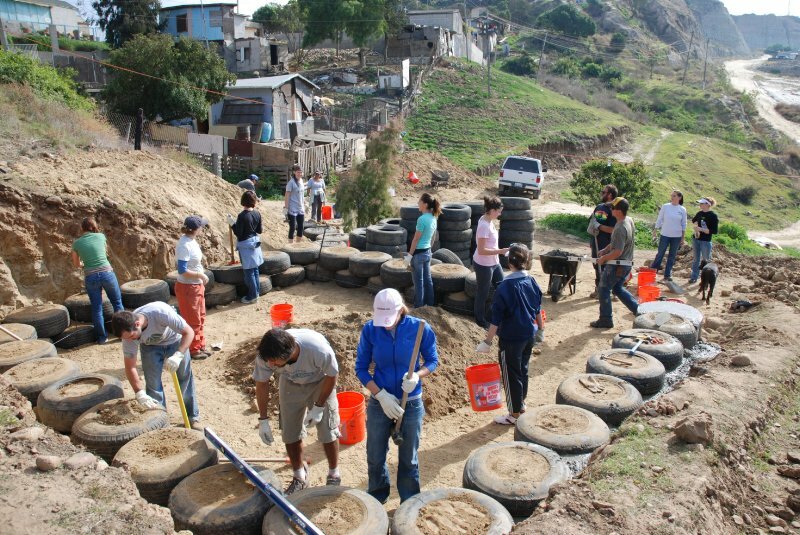 Using our robust community feedback process, we united local residents, private land owners, government agencies and nonprofits in the design, resourcing and construction of their own state park using trash from the Tijuana River. 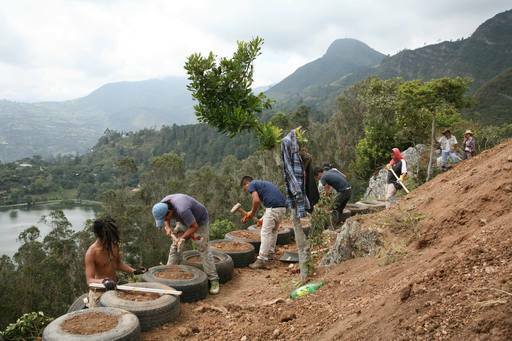 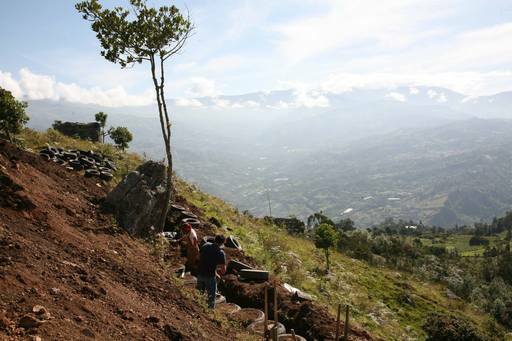 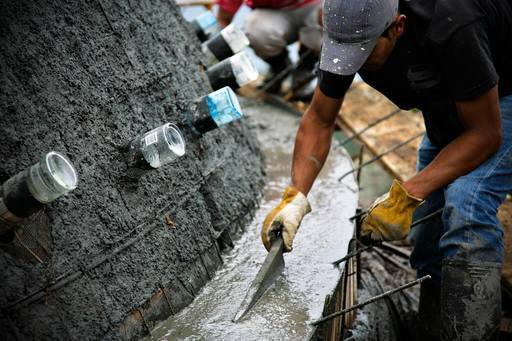 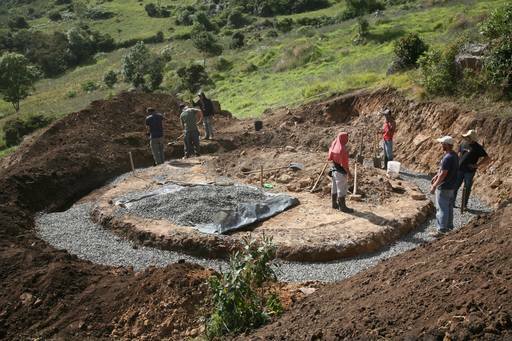 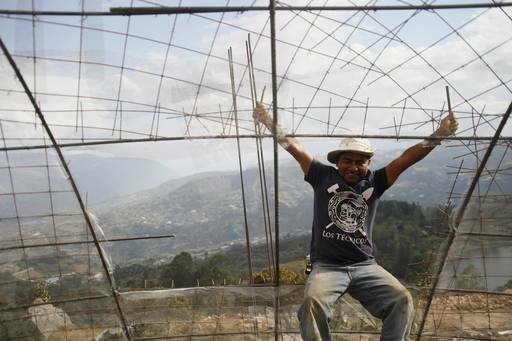 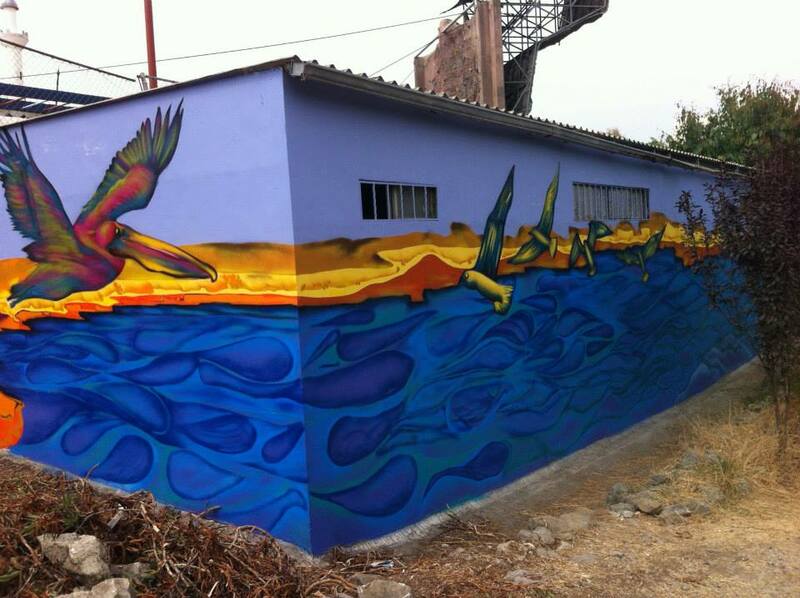 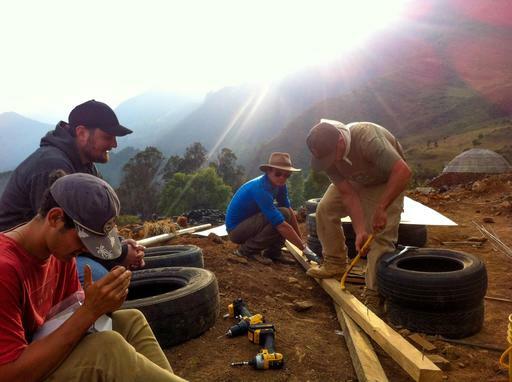 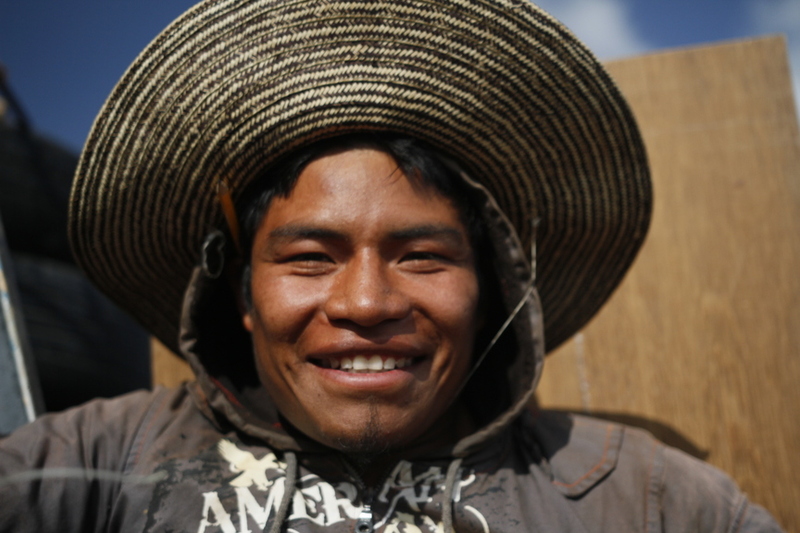 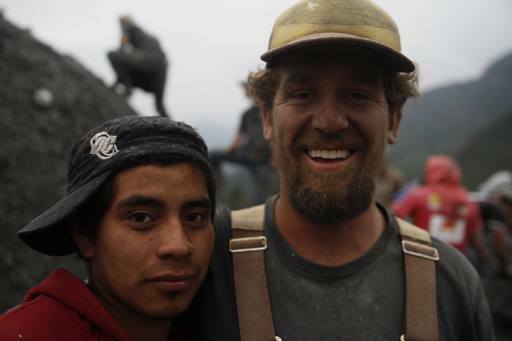 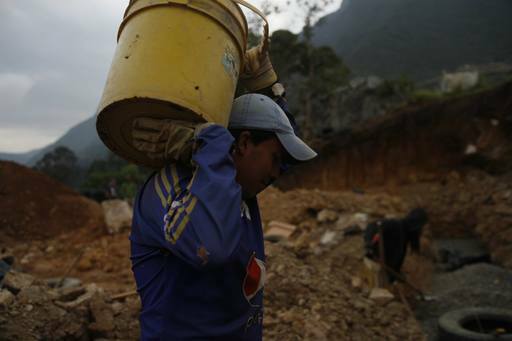 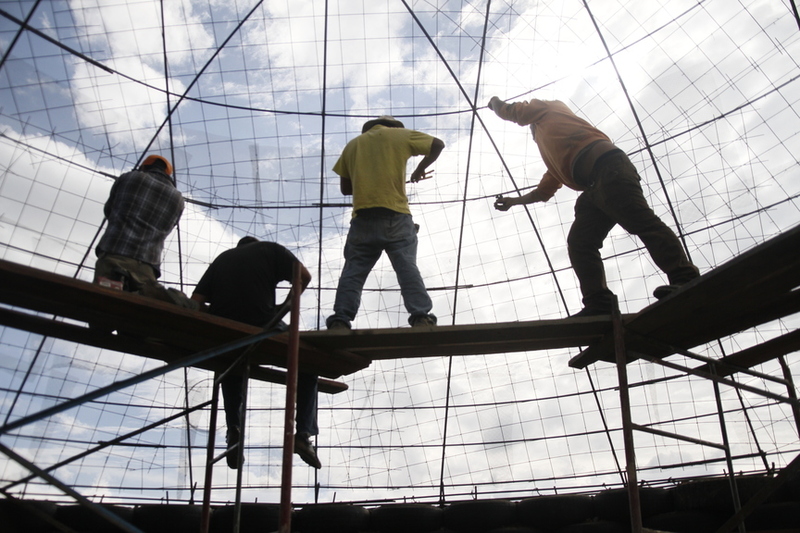 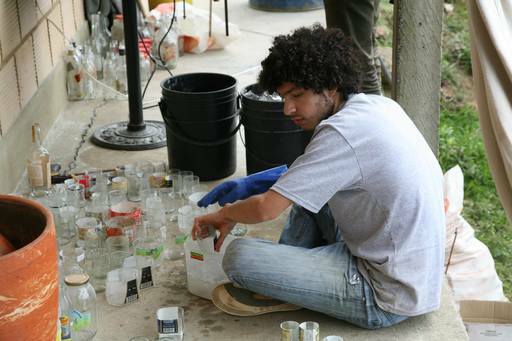 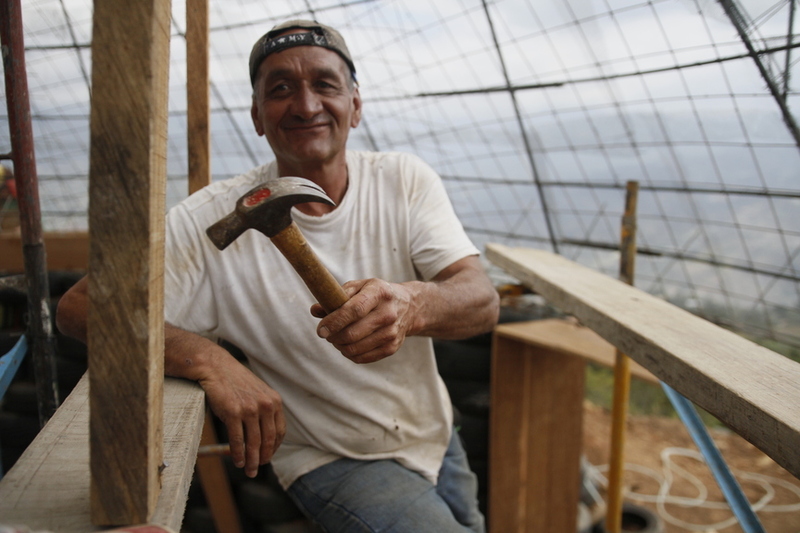 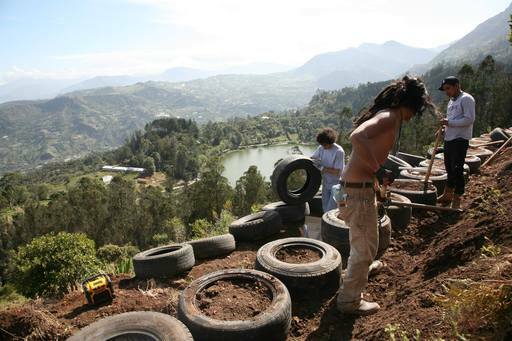 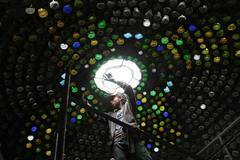 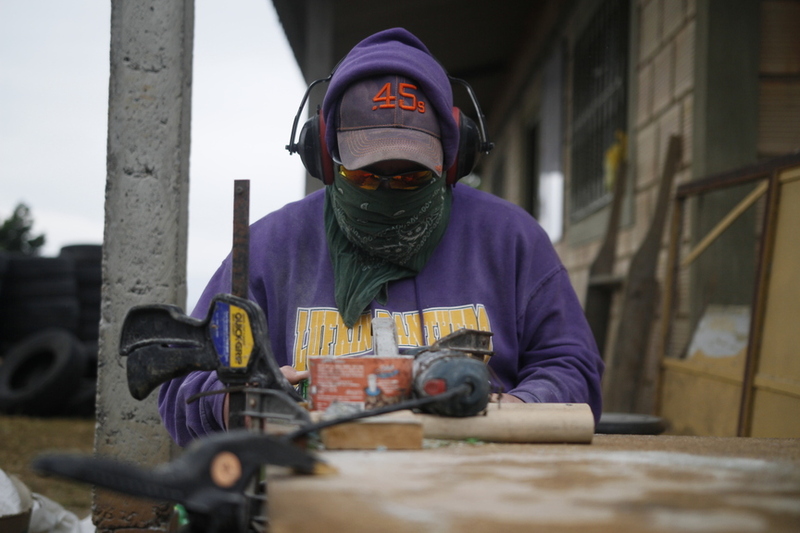 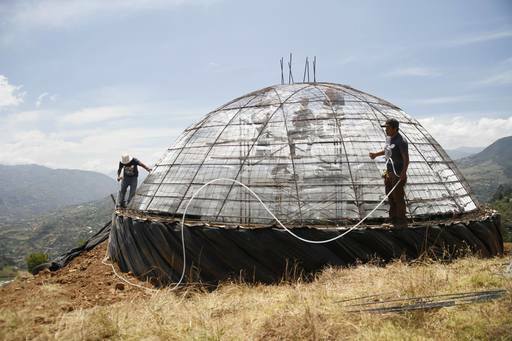 Partnering with Los Tecnicos, 4 Walls helped build the first homes using trash in Colombia. 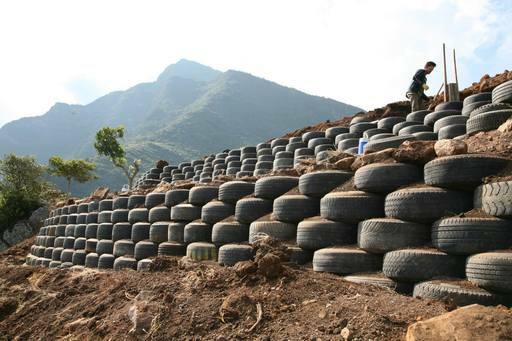 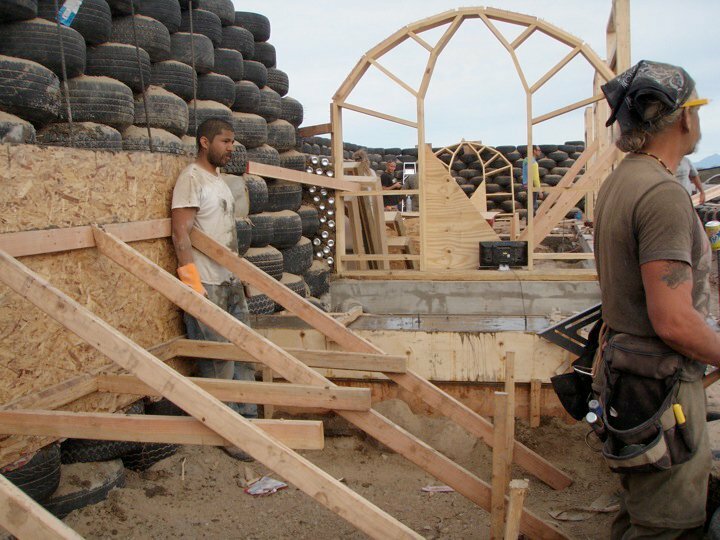 The project included the two largest tire domes on the planet, and we continue to prove what is possible when building with waste. 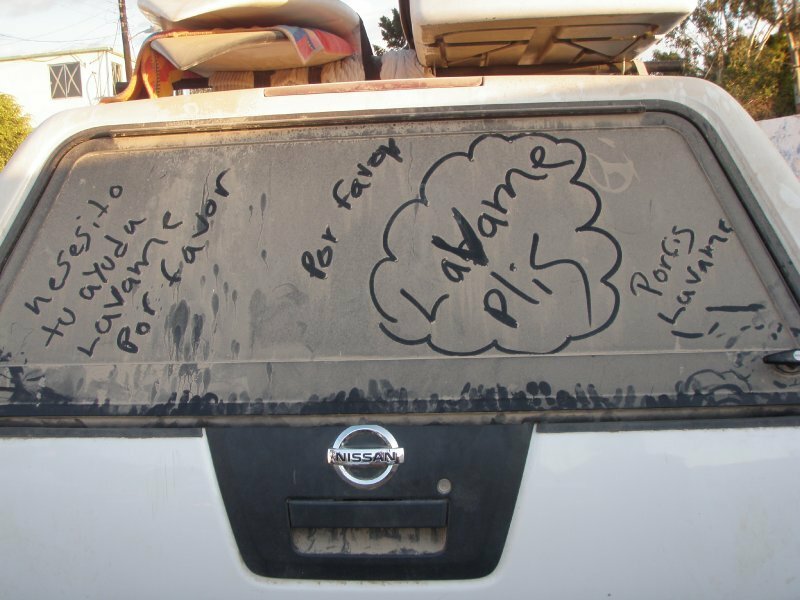 Las Playas de Tijuana, Tijuana, Mexico. 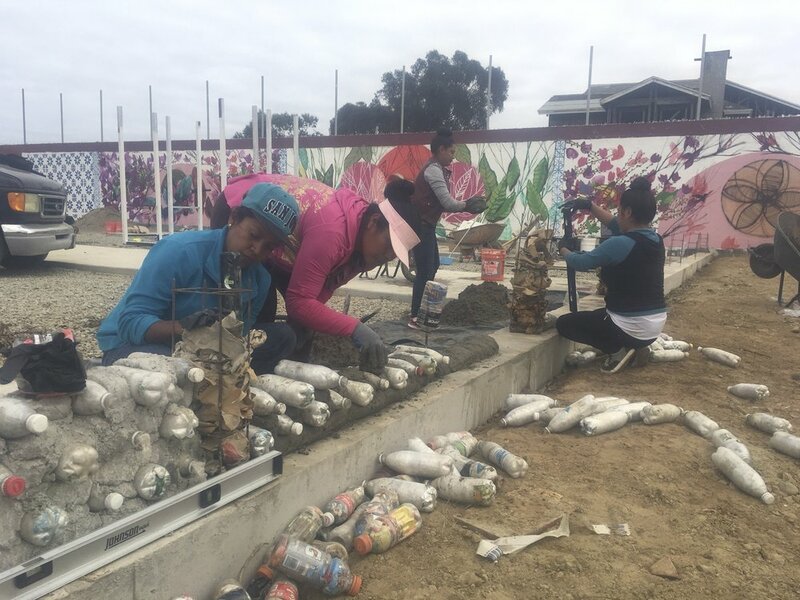 Partnering with the USEPA and SEMARNAT's Border 2020 program, we repurposed over 2,000 plastic bottles stuffed with plastics and foam from arroyo neighborhoods into beautiful mosaic benches during the renovation of this park. 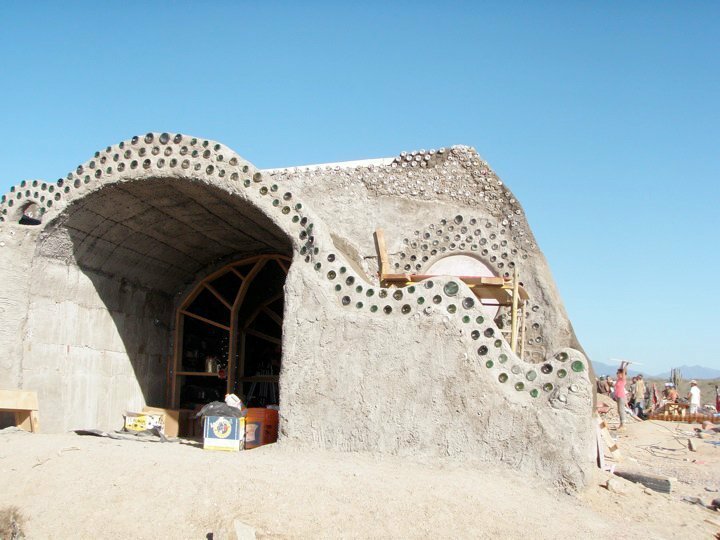 Using over 2,000 plastic bottles stuffed with plastics and foam and 750 glass bottles to retrofit this house, we created a beautiful, well lit, and comfortable artisan work space. 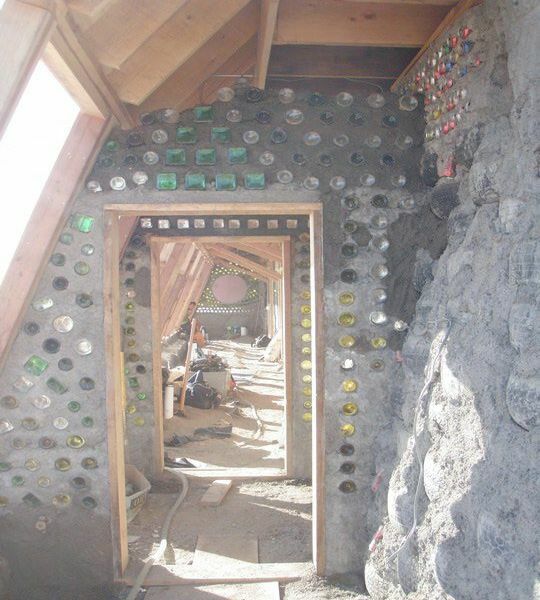 Women here are still repurposing post-consumer waste into art, as seen here. 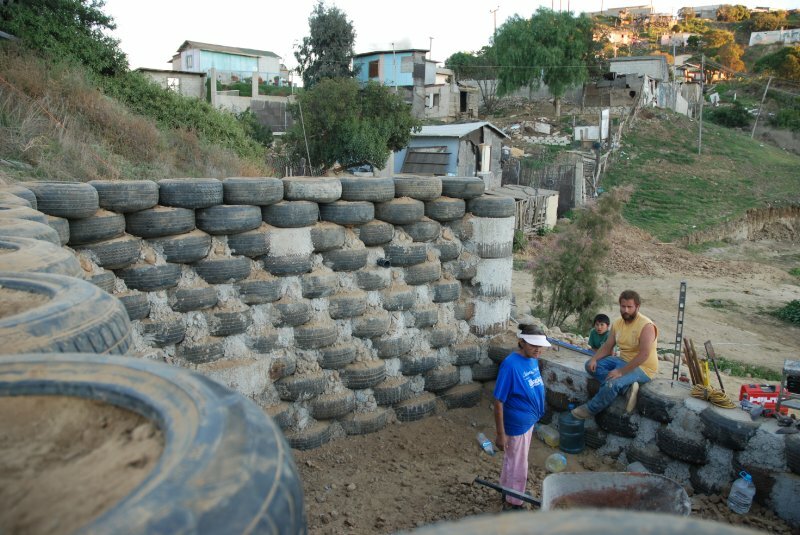 Rancho Las Flores, Tijuana, Mexico. 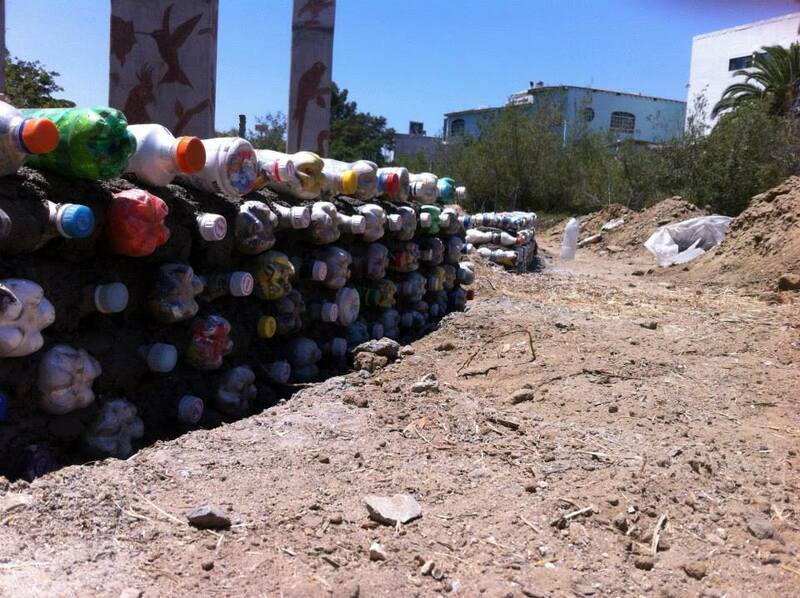 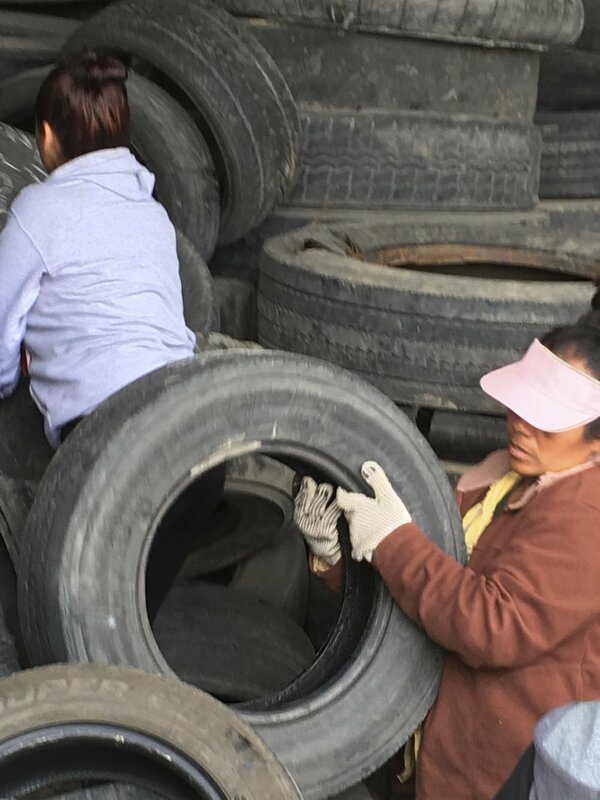 Working with a group of local women, we repurposed over 500 tires and 2,000 plastic bottles into an office space for Baja California's preeminent native plant nursery. 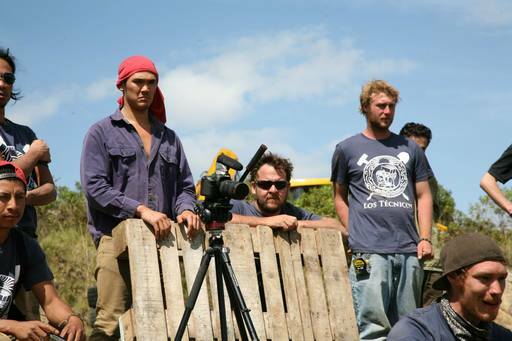 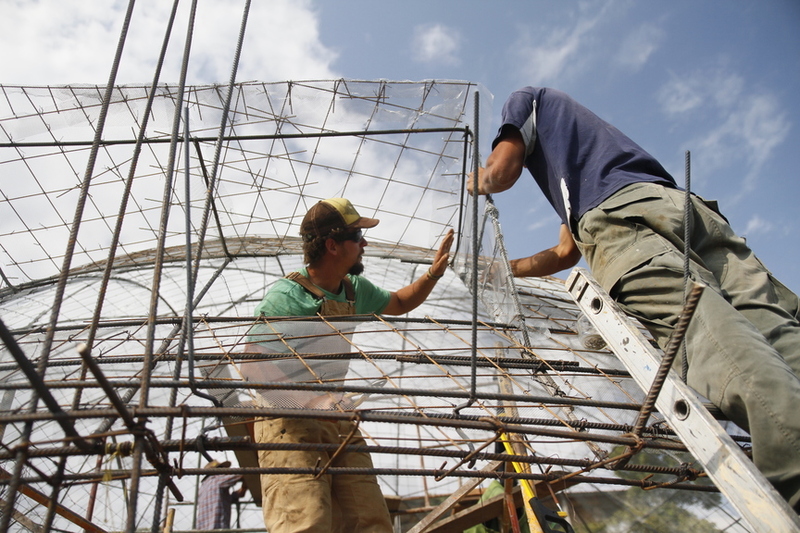 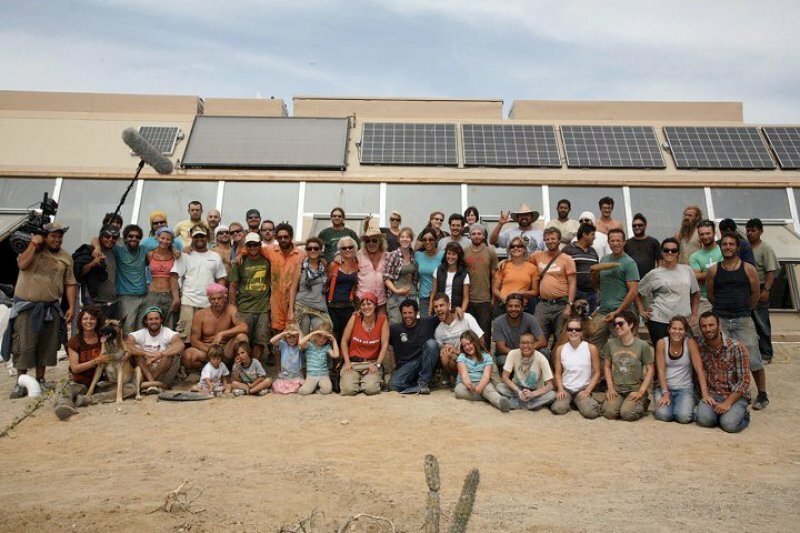 Teaming up with Michael Reynolds and the radical builders at Earthship Biotecture, the 4walls crew help build a fully functioning bio home in Baja California Sur, Mexico.